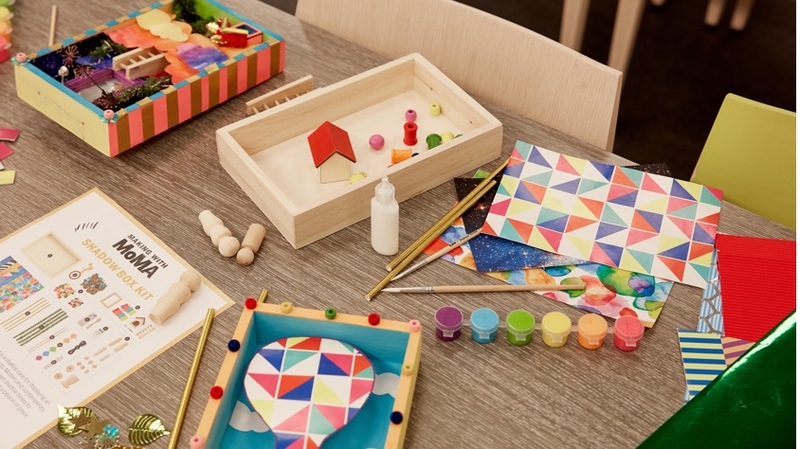 The Kid Made Modern Arts and Crafts Supply Library puts a world of arts and crafts activities at your children’s fingertips. From hundreds of beads and sequins to fuzzy sticks and pom poms—and let’s not forget the over 100 googly eyes—your kids will be cranking out a wide array of fun pieces: friendship bracelets, crazy little monsters, pipe cleaner creatures, fields of flowers, fuzzy rainbows, happy butterflies….you get the idea. It all comes in a brightly decorated carrying case so your kids can bring it to play dates and family vacations. For ages 6 and up.